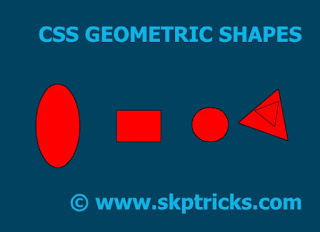 Today, we are going to share some ideas about CSS Geometric Shapes. This CSS Geometric Shapes helps you while doing CSS coding. we have designed some Geometric Shapes using CSS and some of them support CSS3. With the help of below CSS design you can design some more Geometric Shapes. After this tutorial you may not require any images to design Geometric Shapes. Incredible Article it its truly enlightening and creative update us as often as possible with new updates.